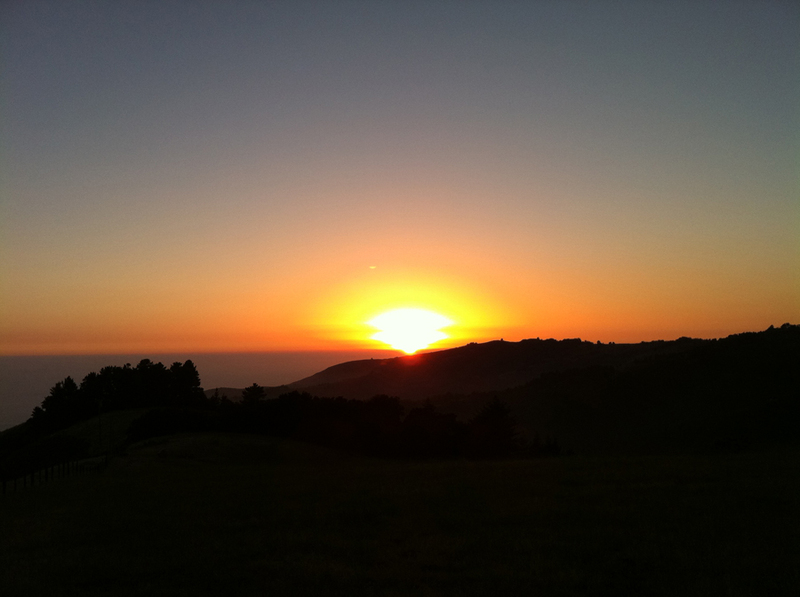 Sunset at rain pH station in Big Sur. Photo by Lee Klinger. On Monday I visited some oaks in Marin County that have been receiving fire mimicry treatments for seven years. I have been working with my good friends and colleagues Leith Carstarphen of EcoLogic Landscaping and Alan Mart for several years to improve the health of trees and soils on this property in Fairfax. The results have been outstanding. It is interesting to note that at least three of the oaks shown below have had signs of sudden oak death infection since before treatments began, yet they appear to be in remarkable health for being diseased. Also note, in case number 20041129.4 there are several fruit trees in the foreground (peach, left; citrus, center; pear, right) that have also been treated with fire mimicry. Check out how well those fruit trees have responded. While these results are only a small portion of the hundreds of case studies that document the efficacy of fire mimicry, they are important in showing that the improvement in tree health with these treatments is more than just a short-term, transitory effect.